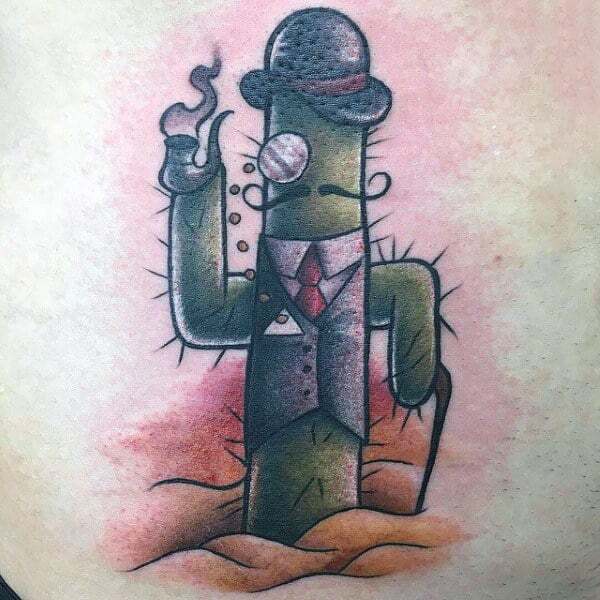 To proudly usher the preeminent power of prickly pizzazz, sharp-minded men everywhere are grandly pursuing righteous cactus tattoos. 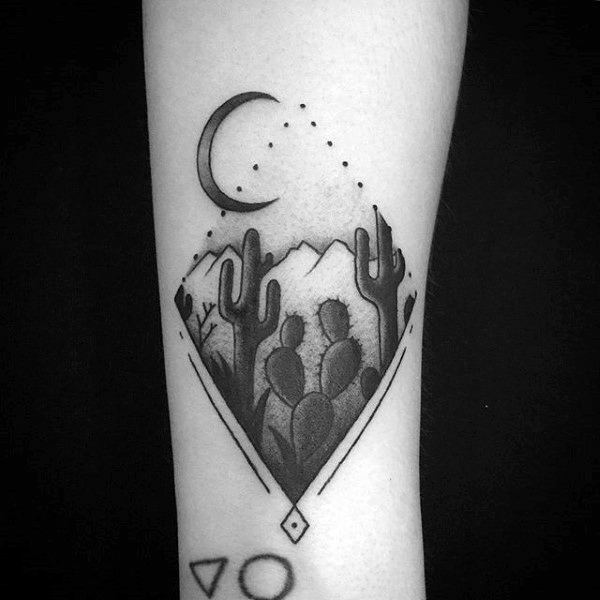 For some divinely decadent desert ambiance, you cannot fail with these poignantly passionate portraits of nature. 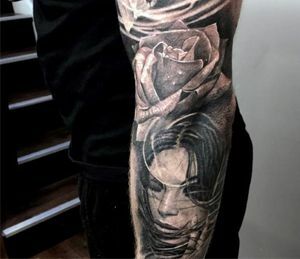 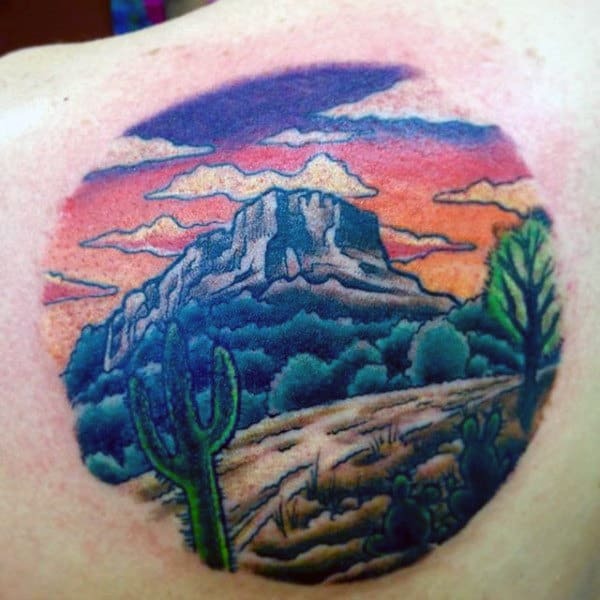 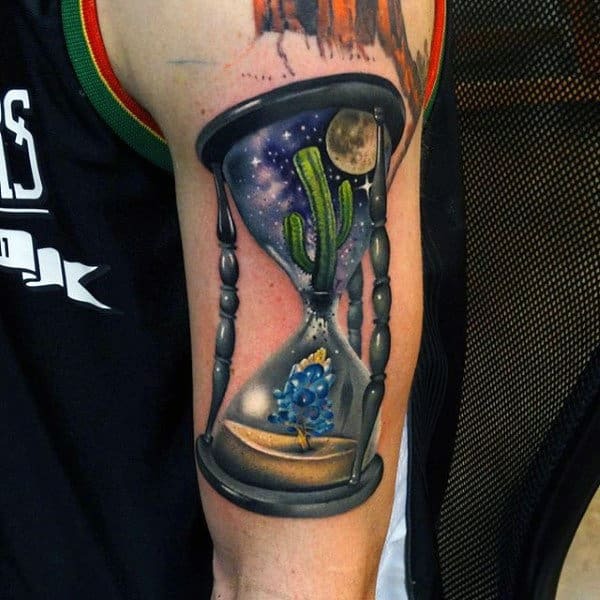 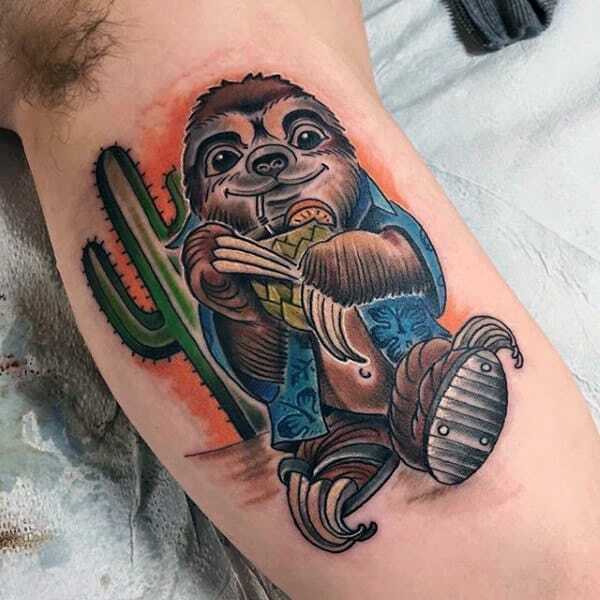 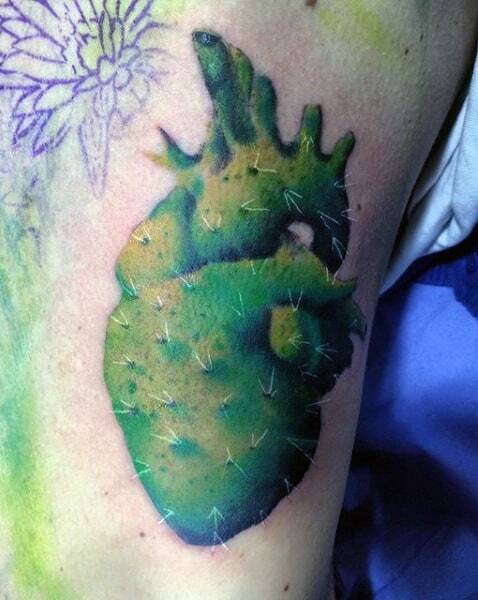 Thanks to the genre’s newly boosted popularity, cactus ink is completely revolutionizing the tattoo industry. 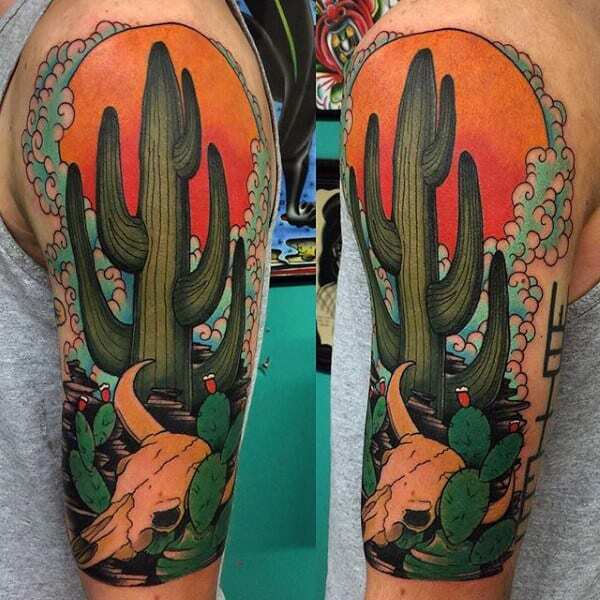 These supreme illustrations boldly mix a keen attention for fine detail with a superb appreciation of earthly beauty. 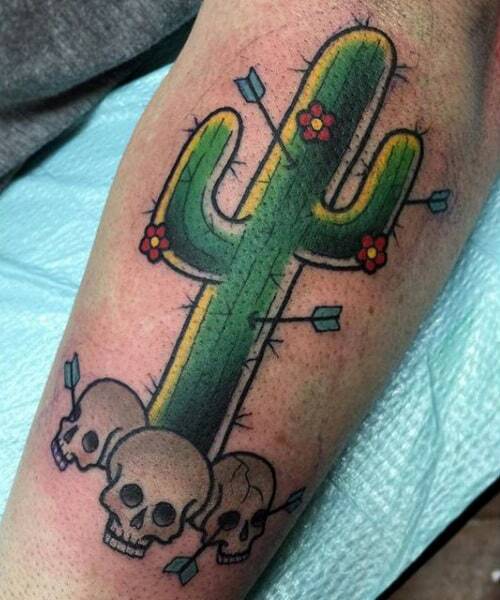 Of course, there all all kinds of cacti to choose from, so the decision must be made carefully. 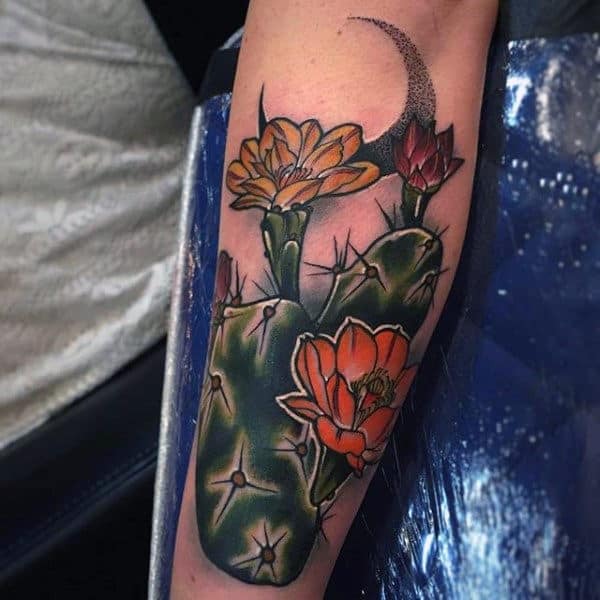 One widely respected selection typically consists of the infamous peyote cactus, which carries vast significance among aboriginal communities for it’s hallucinogenic and spiritual properties. 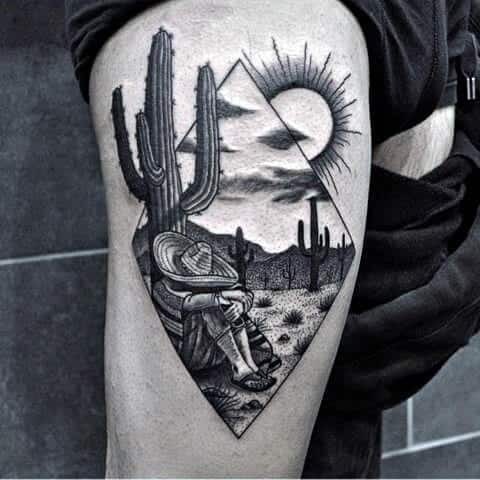 This deep level of iconic imagery is striking in all contexts, and these grandiose pieces are often complemented with complete landscapes. 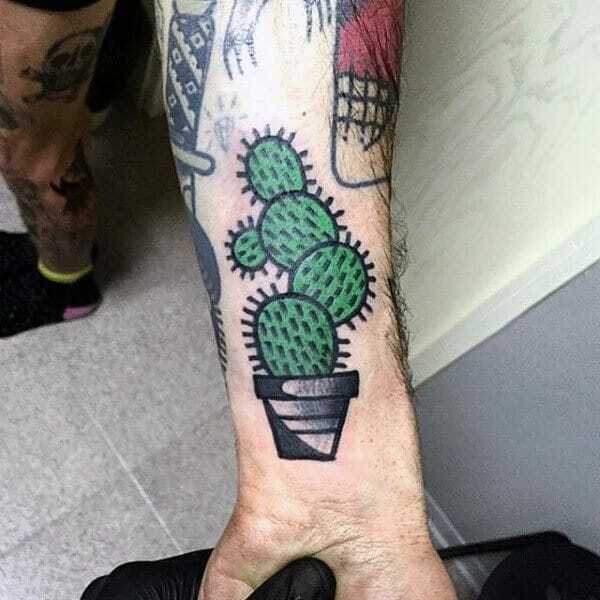 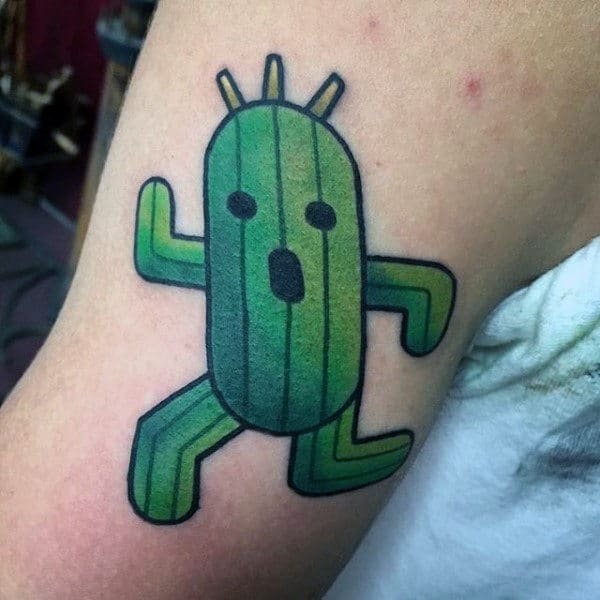 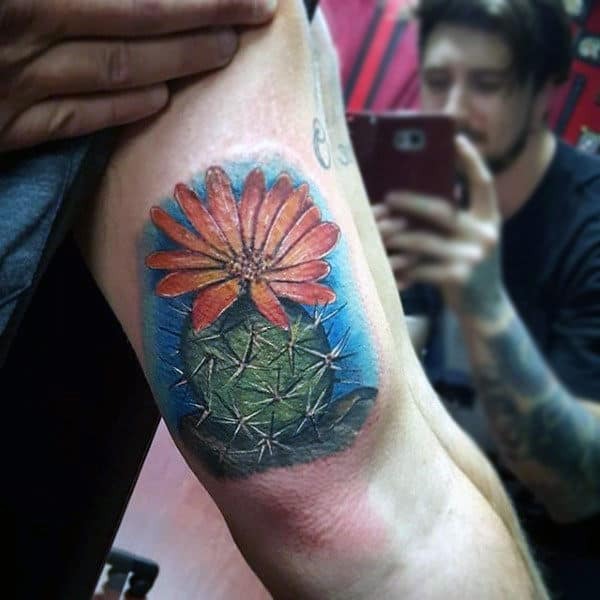 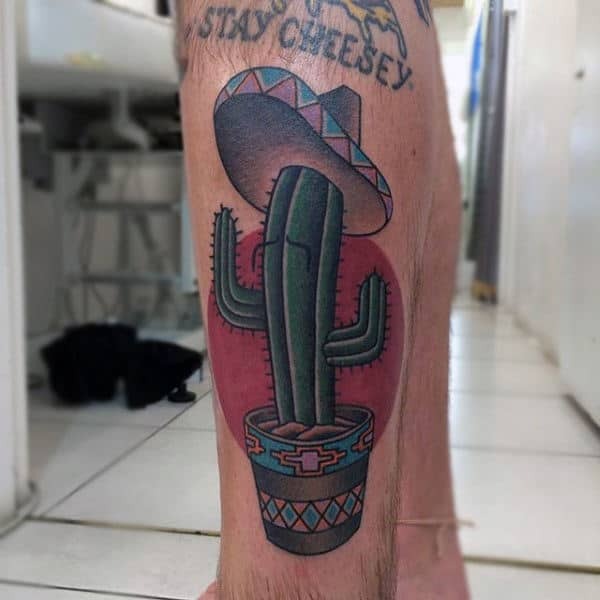 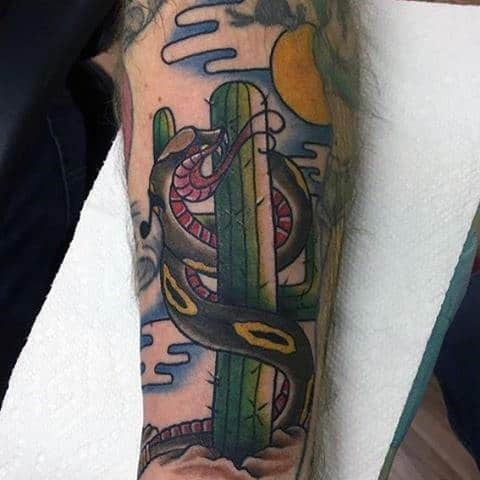 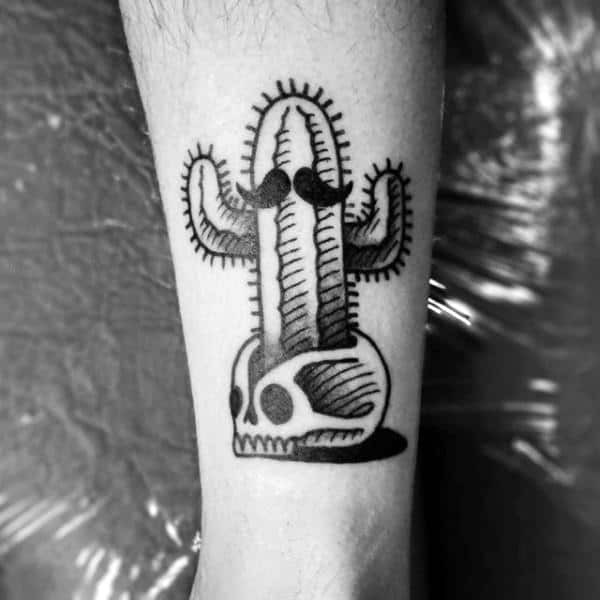 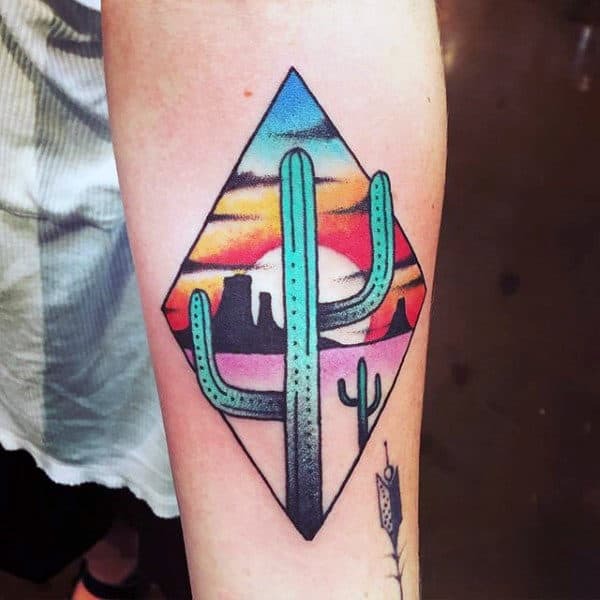 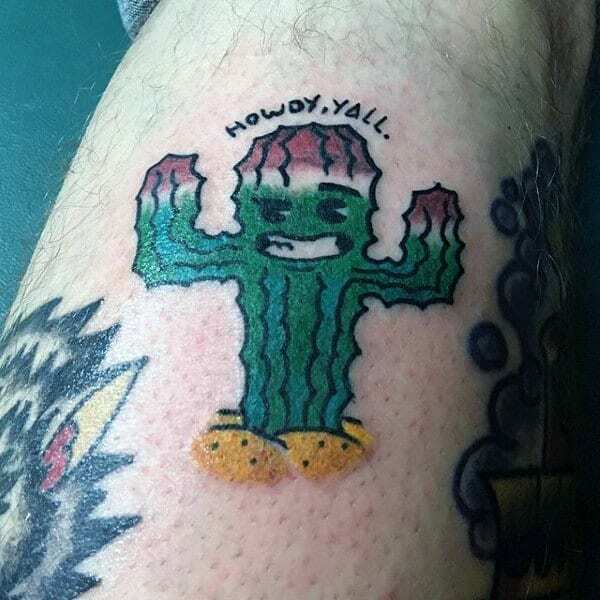 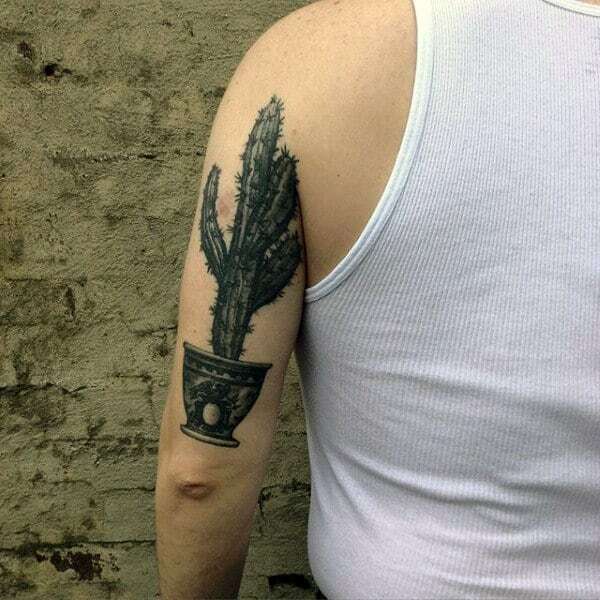 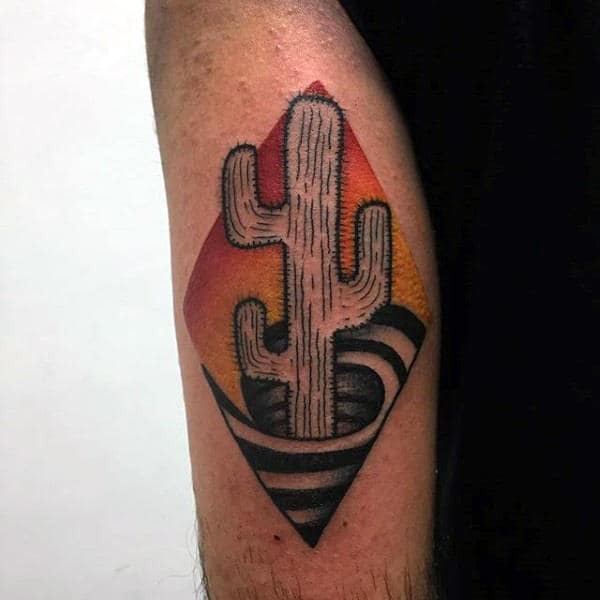 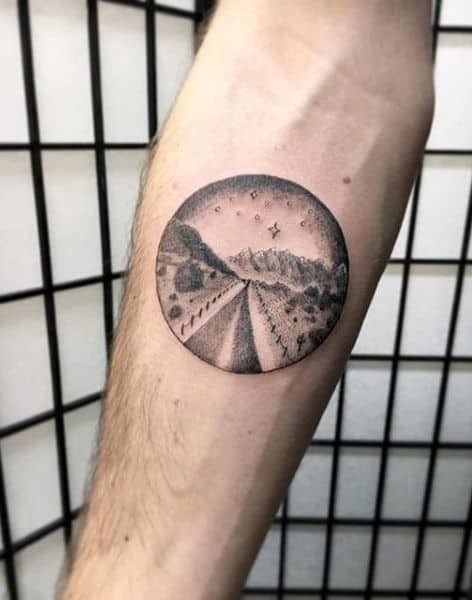 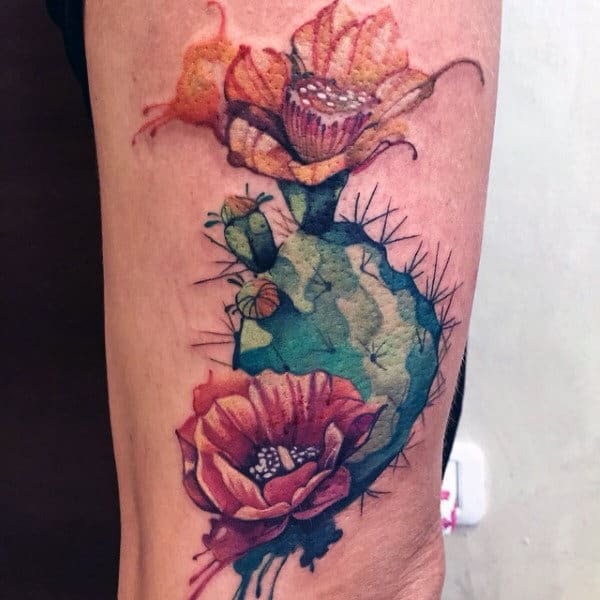 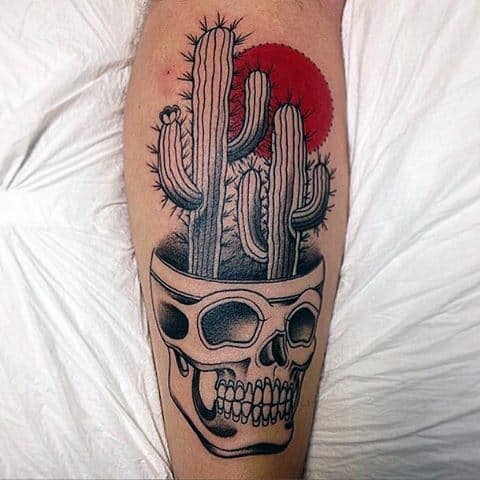 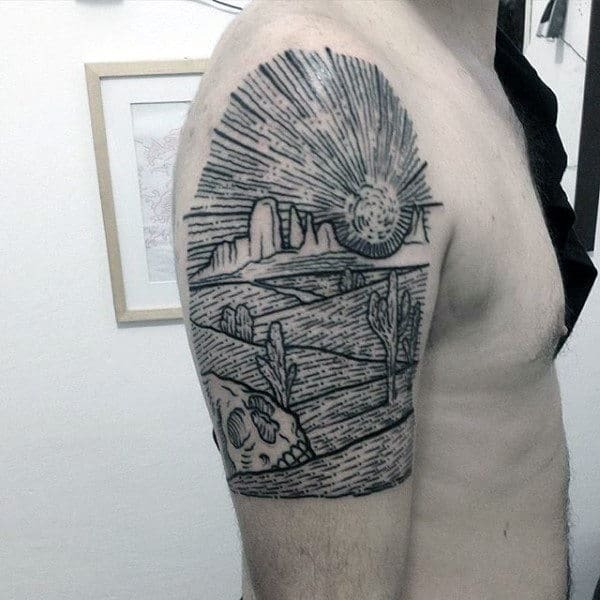 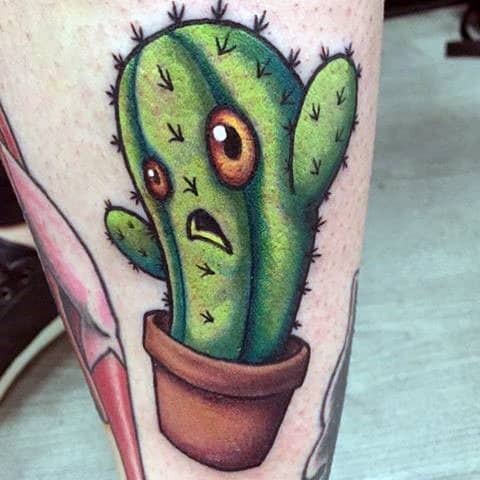 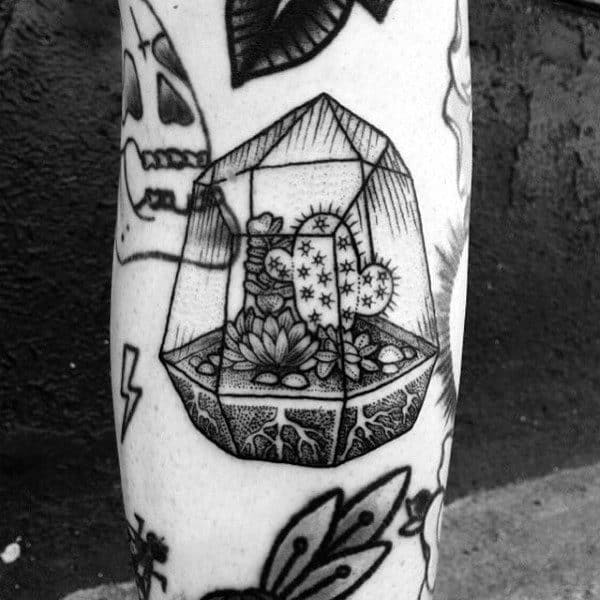 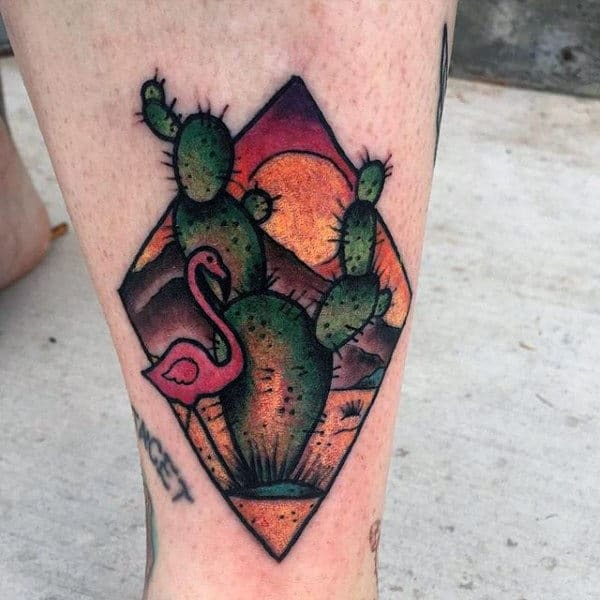 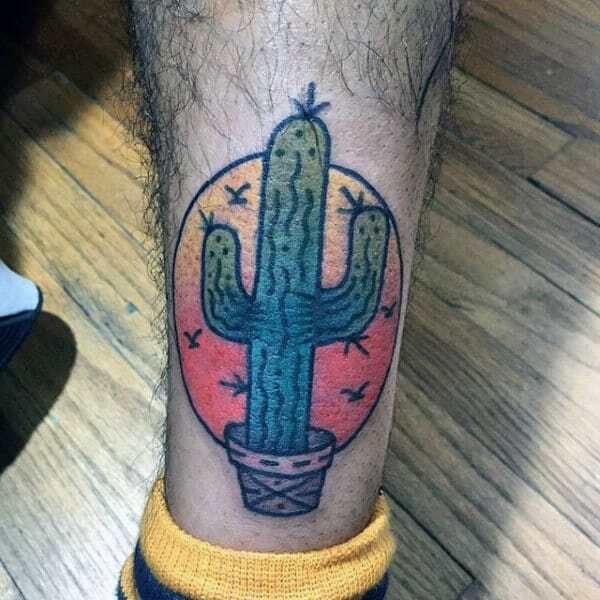 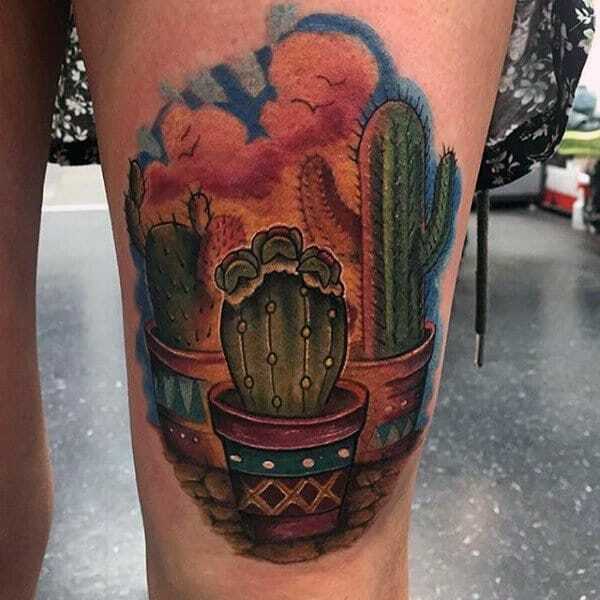 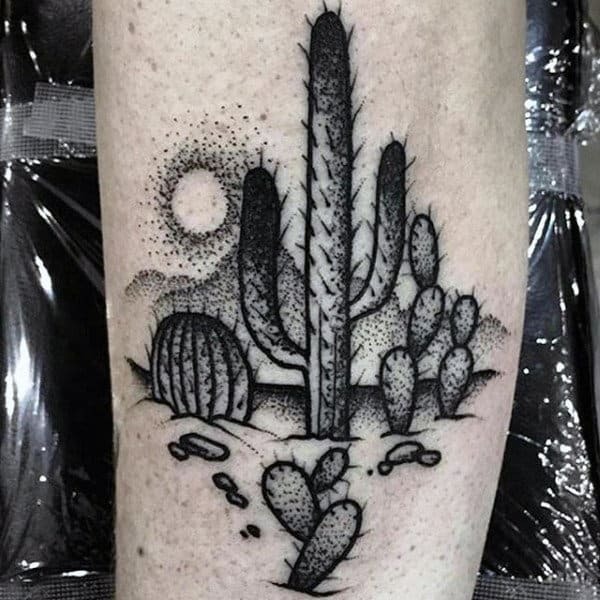 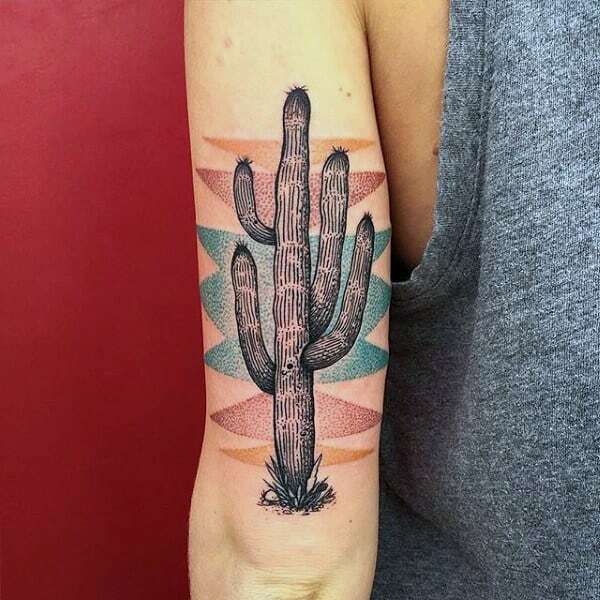 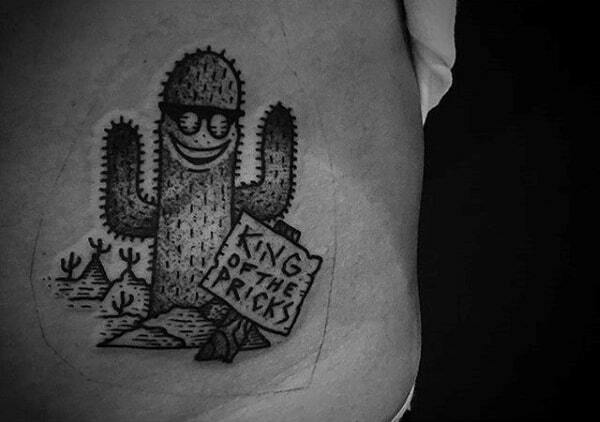 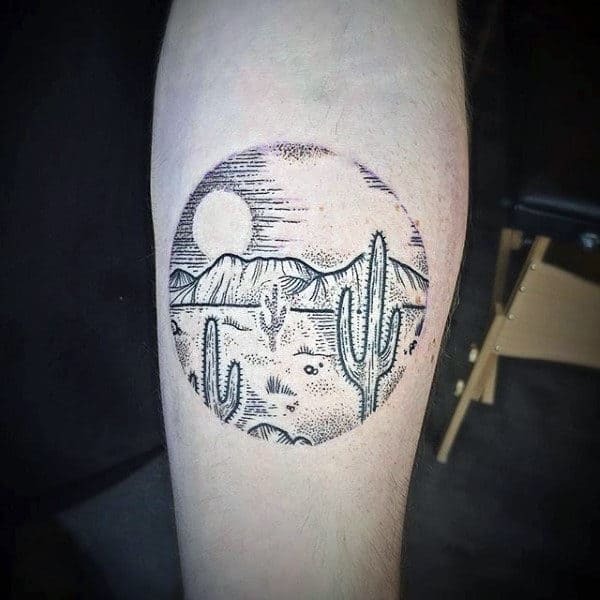 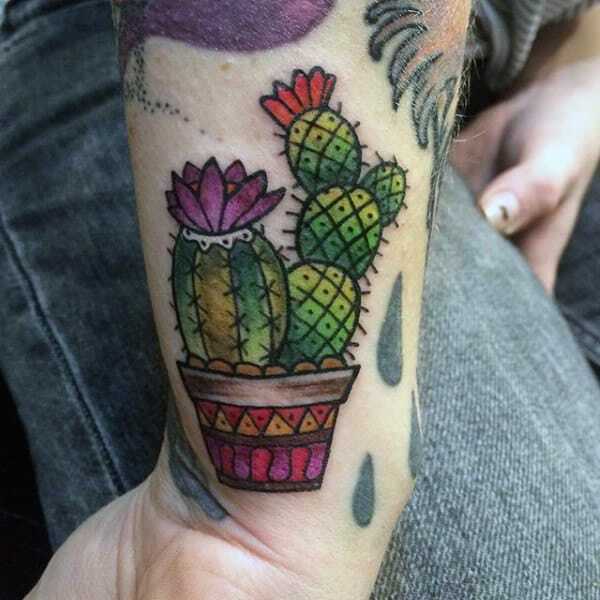 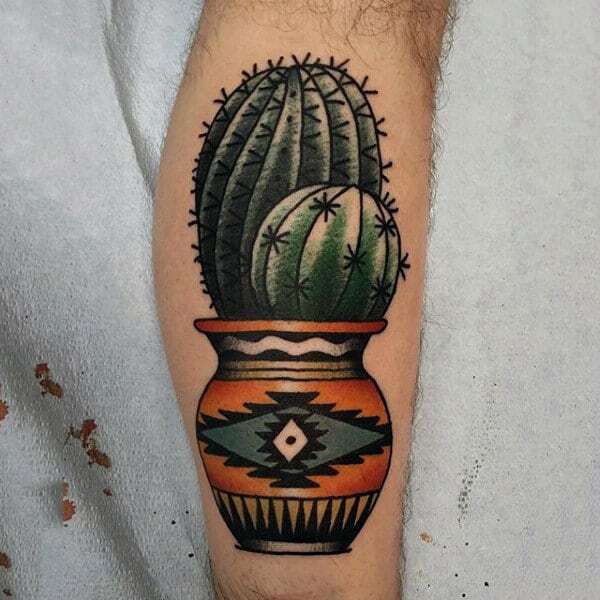 Cactus tattoos are often done as shadows or silhouettes too, so fashionable fellows can peruse some black ink alternatives to the green as well. 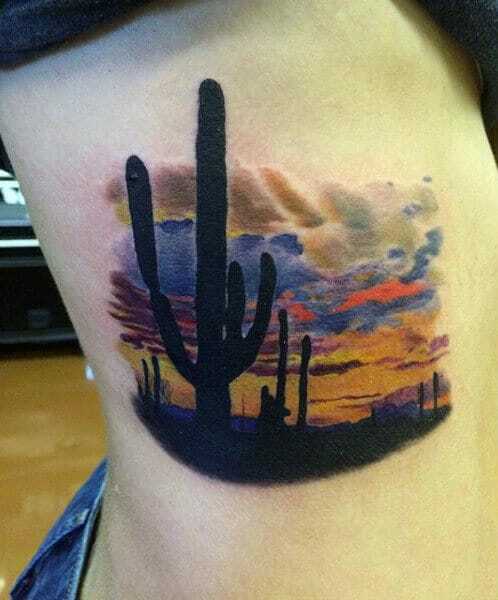 The most striking accompaniment for a cunning cactus creation is usually a striking orange sunset. 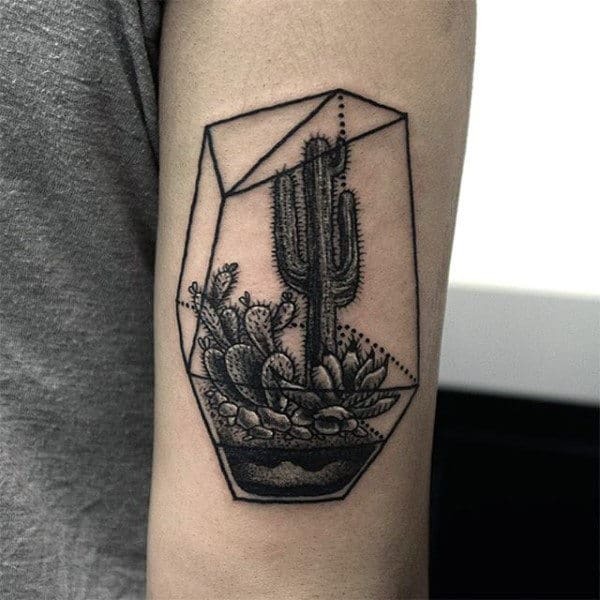 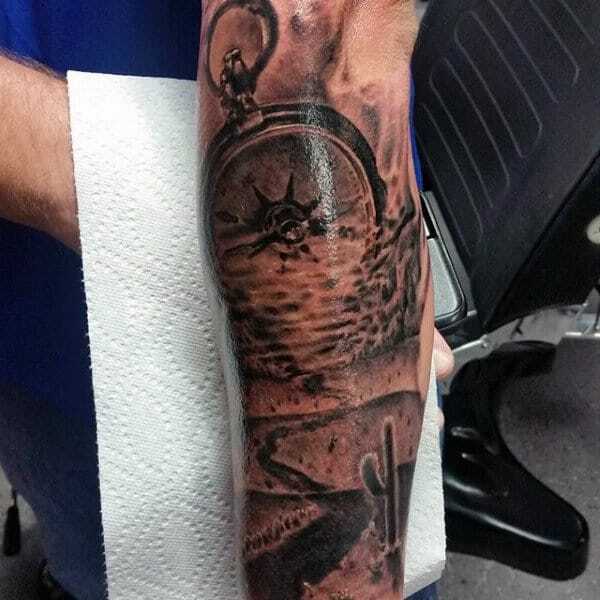 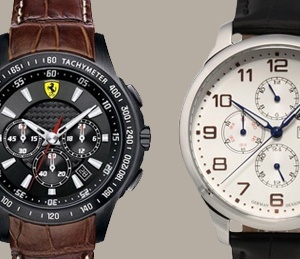 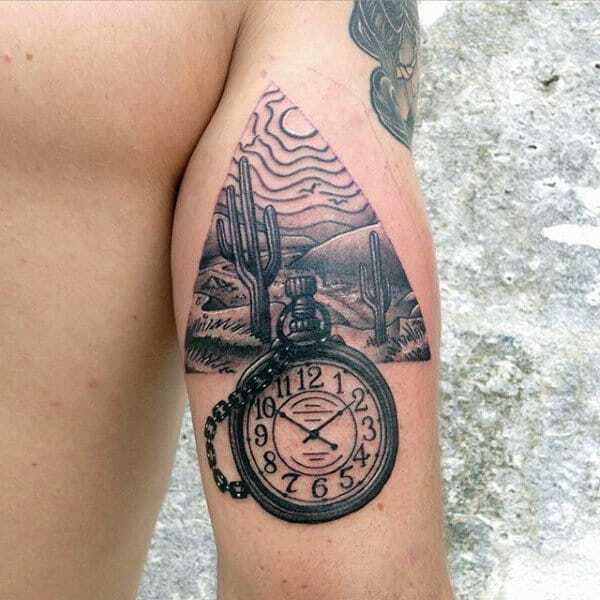 With this kind of aesthetic adornment, guys can take the desert with them everywhere they travel. 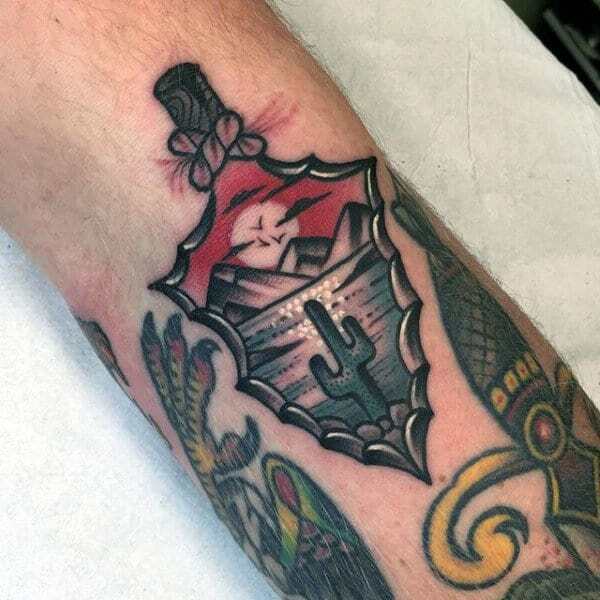 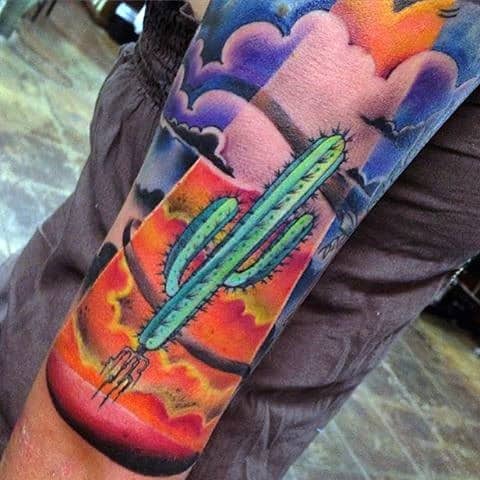 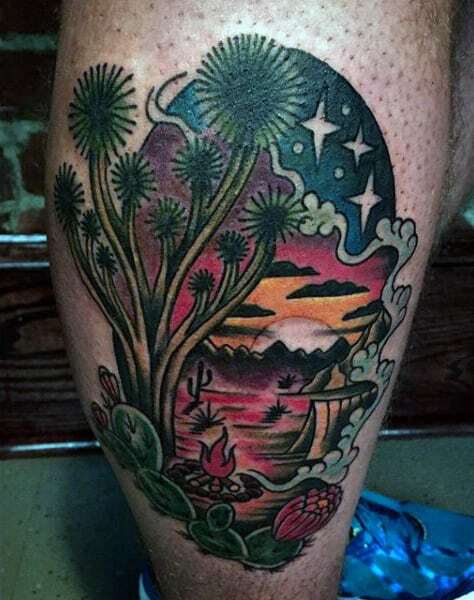 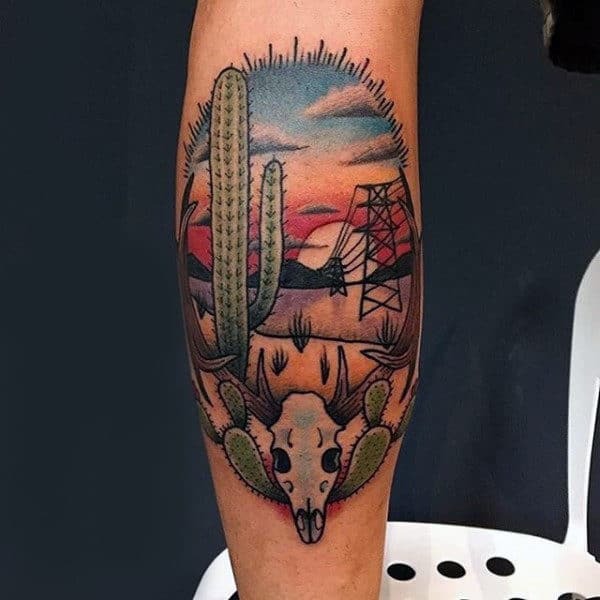 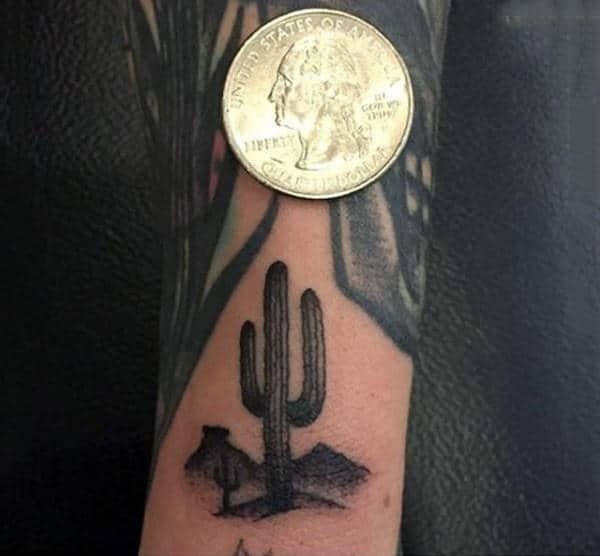 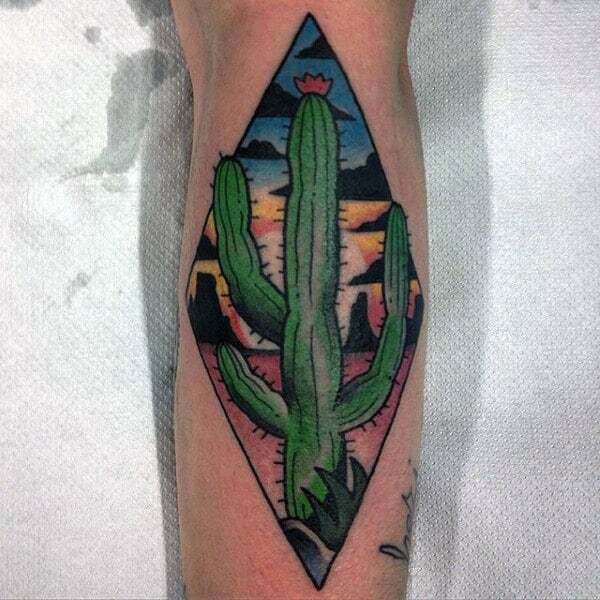 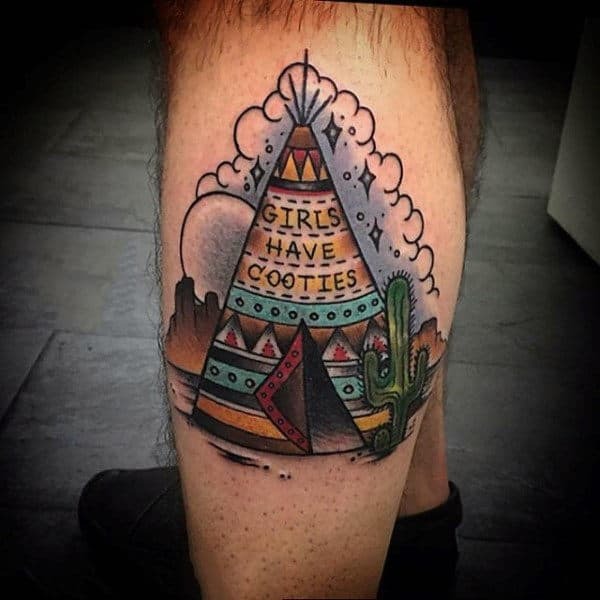 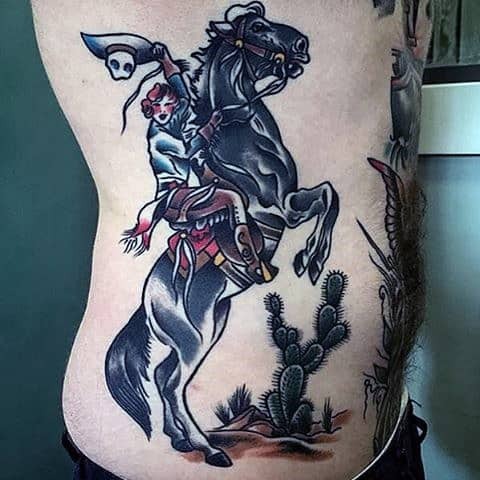 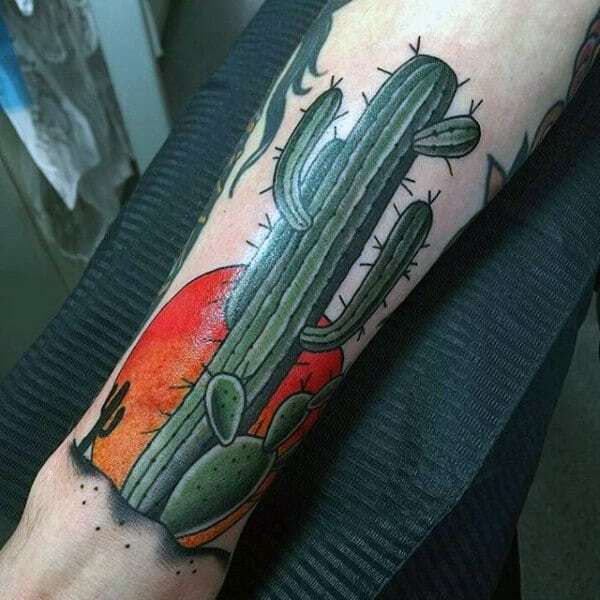 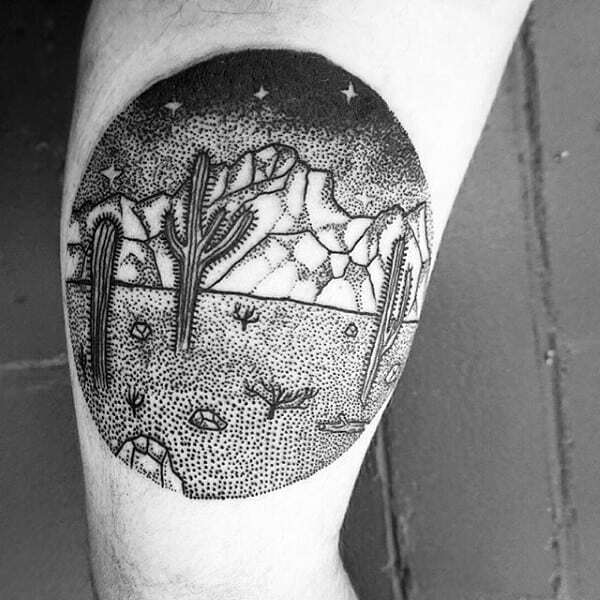 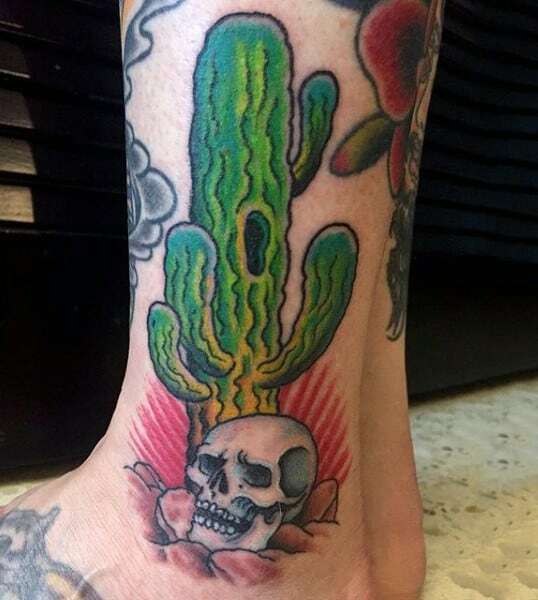 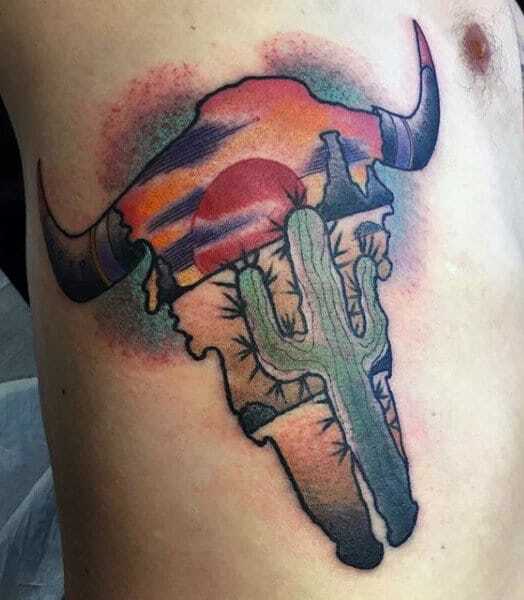 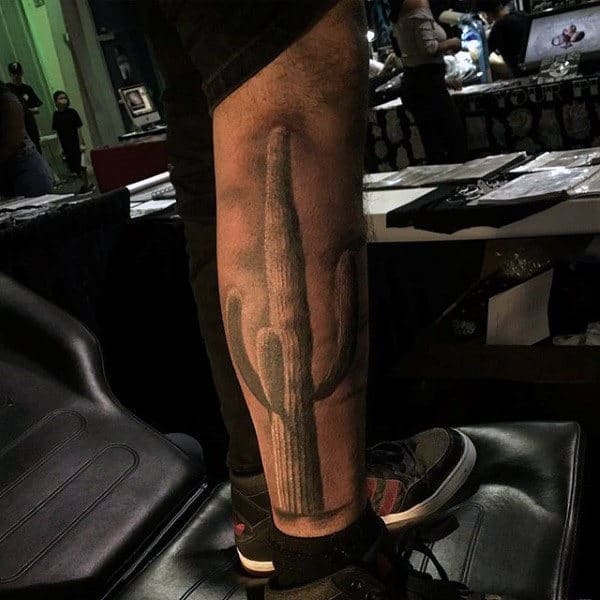 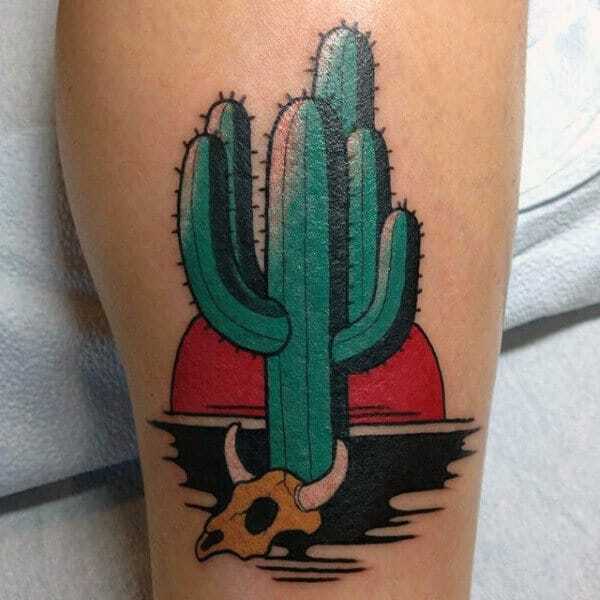 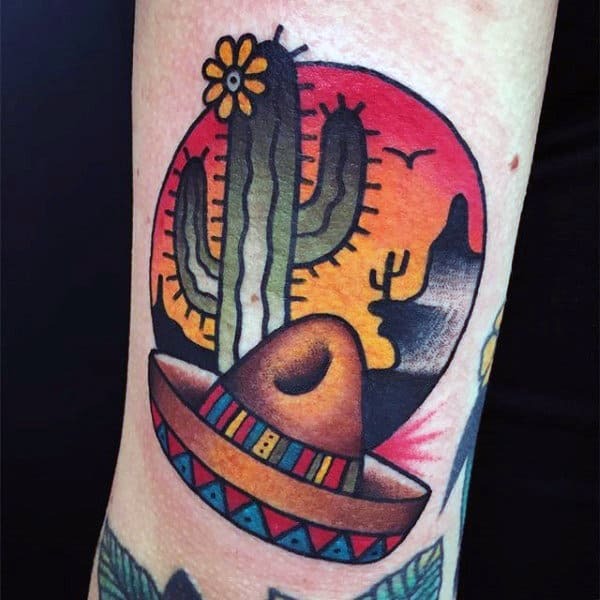 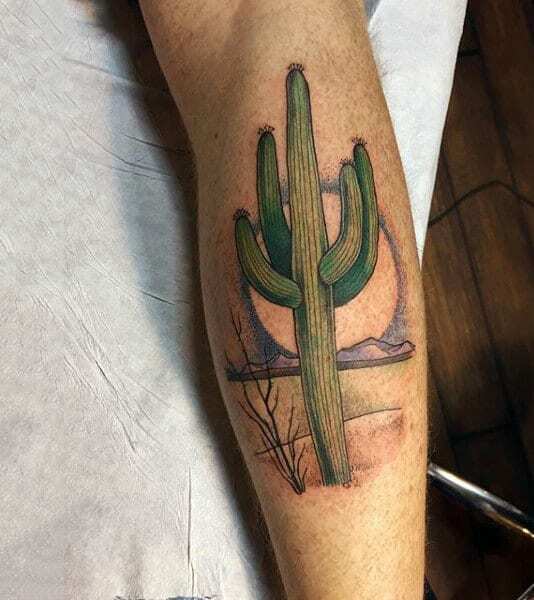 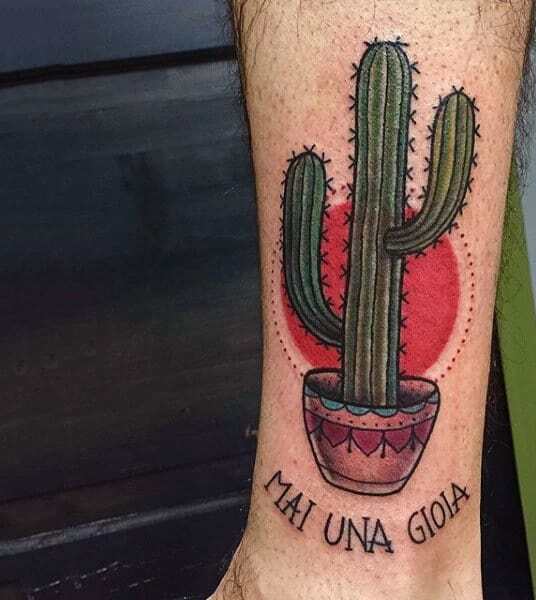 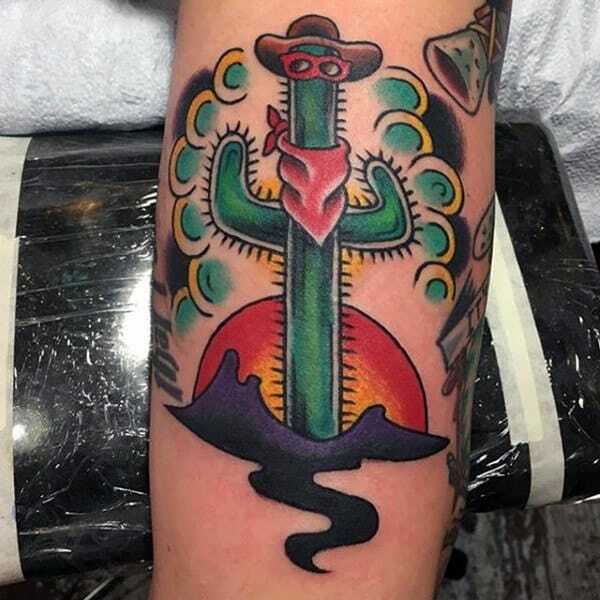 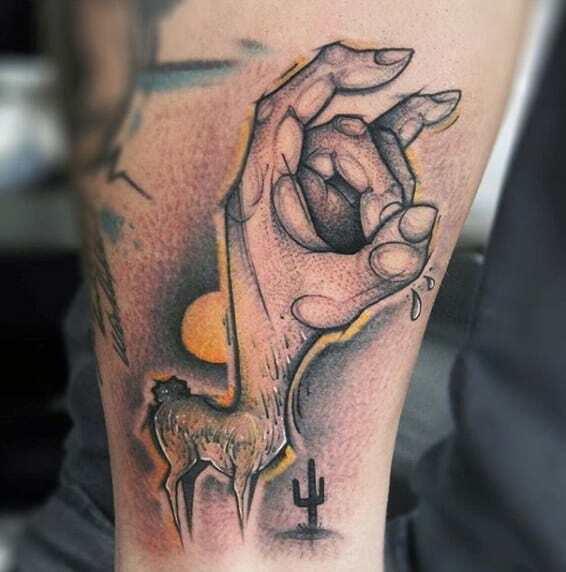 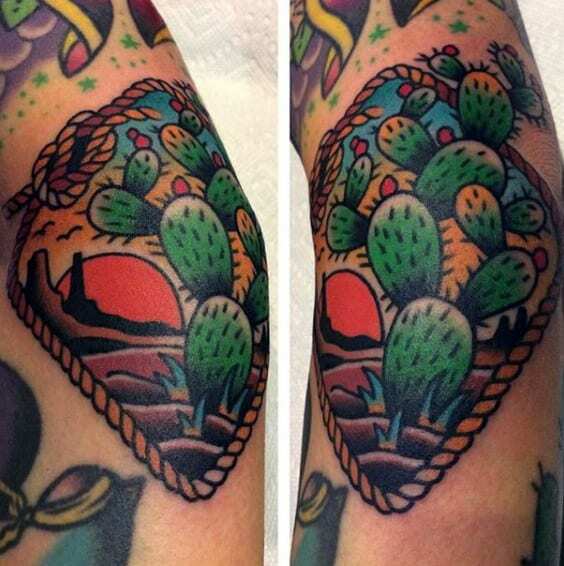 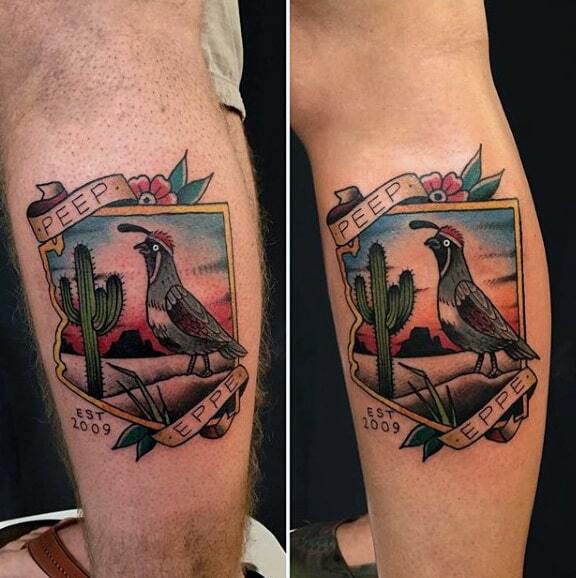 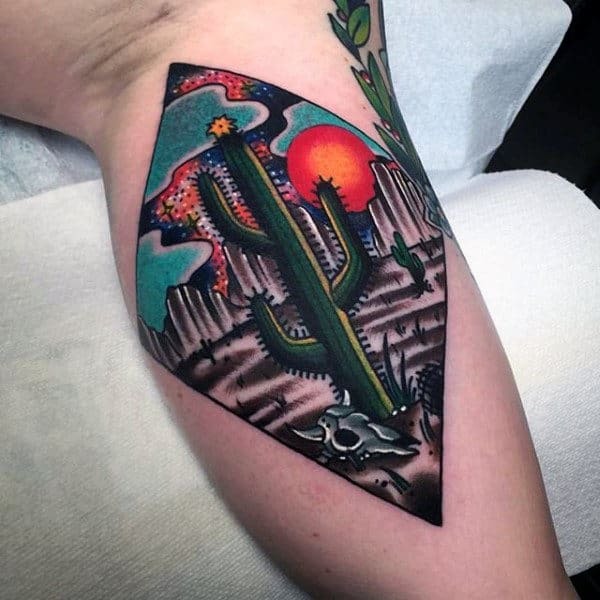 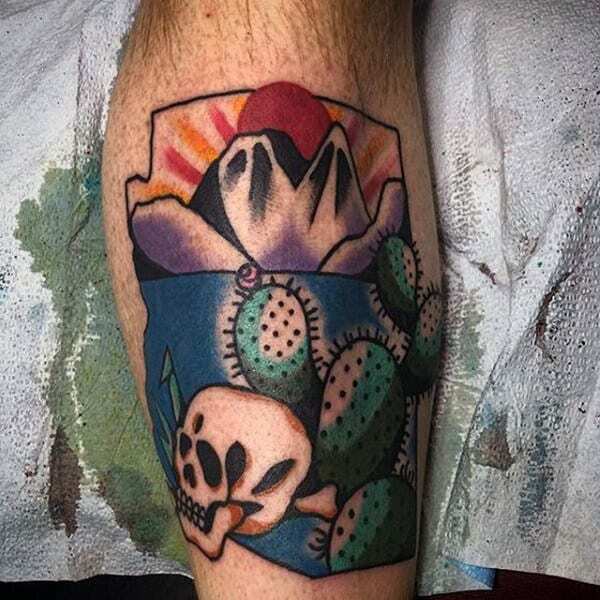 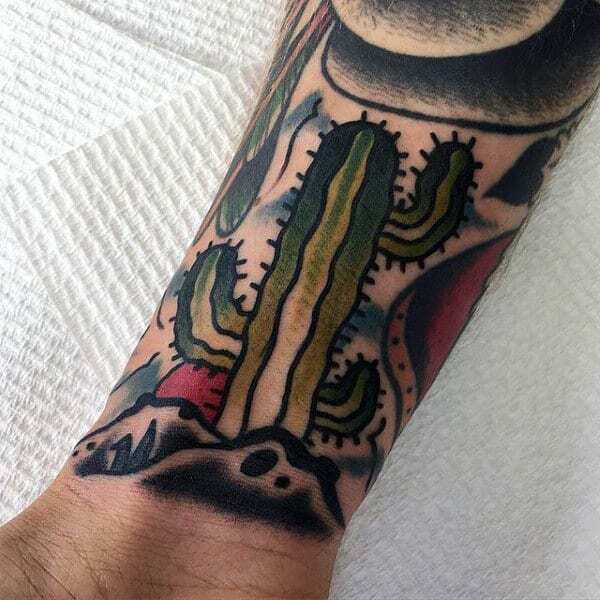 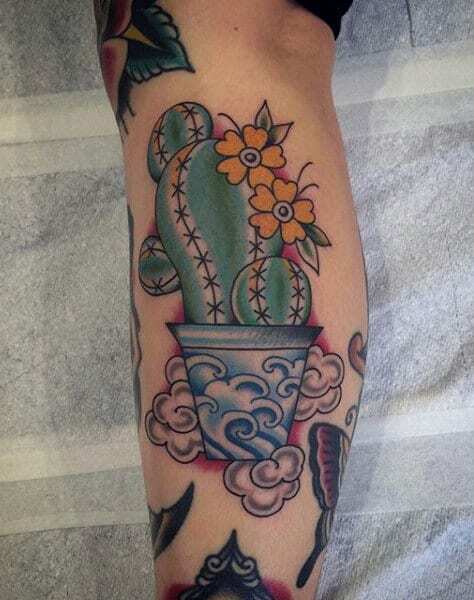 To cultivate some classic Midwestern ambiance, nothing packs on the cowboy charm more than a cactus tat. 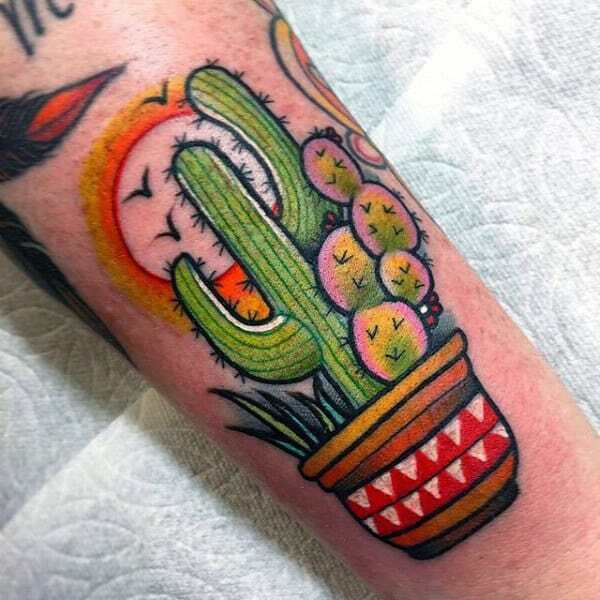 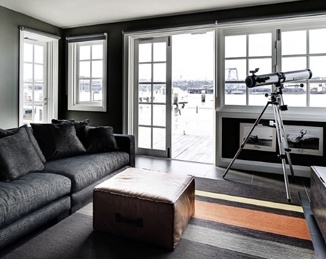 Explore this catalog for some seriously sharp inspiration!